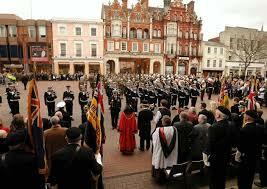 Quorn is a great place to live, but not just because of the history, scenic surroundings or picturesque architecture. 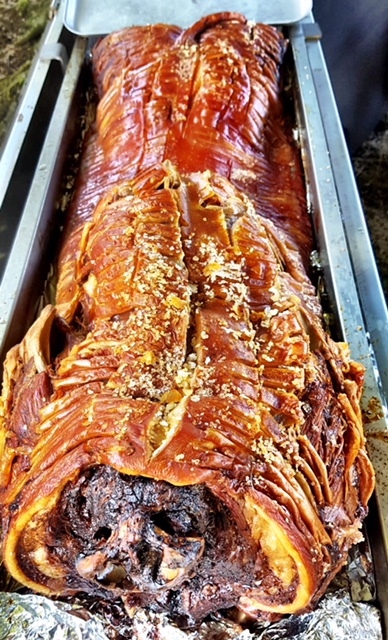 A lesser known reason that Quorn is such a wonderful place to live is because it’s home to us, Spitting Pig, a hog roast catering company that’s been making rich mouthwatering food for the local community for a very long while. Our expertise in hog roasting make us the only specialist pig roaster of elite calibre in the village, but hog roasting is far from a small niche, we’re always in-demand as we do both worlds best. Hog roasts, desserts, starters and even a huge choice of canapes, we create them all to a very high quality, so it’s a good job that none of the chefs working in the village suffer from vertigo! Assuming you want a caterer who’ll give your event excitement in abundance you’re on the right page. With our presence we set a theatre-like atmosphere, adding to your event a head turning hog roast Quorn element which will rouse emotions and above all else get your guests in the mood for food. When caterers are forced to cook in the kitchen, out of the way of guests ears, eyes and noses, not every guest will be hungry when ambushed by a plate of food. Hog roasting is ingenious because the guests have plenty of time more often than not to see the hog roast or spit roast while it’s still cooking, and to smell the fragrant aroma that our fresh pigs always have, so we’ve found when we’re cooking pigs in Quorn that by the time we’re serving not only are people ready, but they’re positively starving and will bite our hands off to get fresh roasted pig in our bread rolls. Since Spitting Pig arrived in the village we’ve had a lot of success, we’ve worked for so many great people, it’s been a rewarding experience to help out as many as we have, to make friends and new business links on a weekly basis. But we haven’t settled, instead we’ve expanded and we’ve uncovered a number of talented hog roasters and a number of waiters and waitresses, we’re forever making room so that you can book us. It’s always enjoyable when we’re hired in Quorn to cater at an event for a new client who’s never had our spit pigs before. The hog roast Quorn experience is a long one, usually a pig needs cooking something to the tune of 3-8 hours. The length is determined by pig size, which is determined by event size. 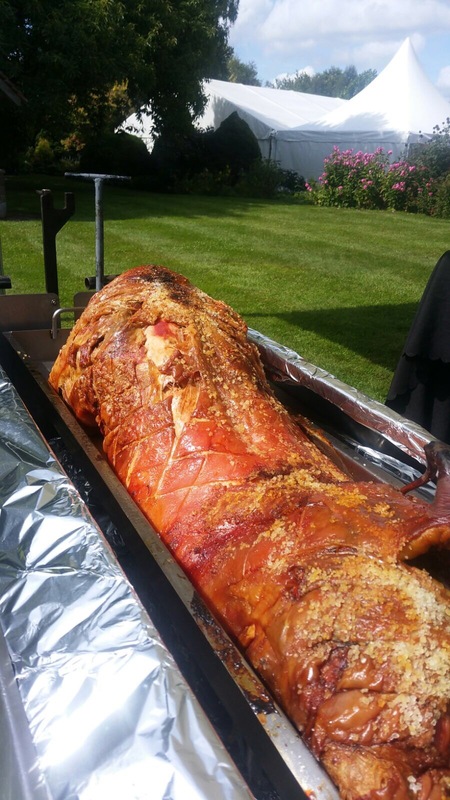 If you’re organising a large event then your guests can look forward to a huge pig, we’ve been known to cook pigs which are heavier than the average man… pigs heavier than the man who’s heavier than the average man, even! The pigs we roast are fresh as can be. The quality of the produce matters a lot in determining the results of the hog roast, so as you can imagine we source only the finest breed of pig from the best regional pig farmers. The farmer we get the pigs from raises them using old and new methods, all eco-friendly, pigs are raised for nearly all their lives in true free-range conditions. The benefit to the hog roast is evident, so much more superior to the cheap pork sold in most places. You can buy one of the pigs we would usually use for catering when you use hog roast hire. That’s all optional of course, with the hog roast hire Quorn you’re welcome to forego buying a pig from us and buy one from somewhere else yourself – and you don’t have to cook pig with our machines, that’s optional in itself. We have our own vans and one of our own hog roast hire Quorn team members delivers the machines to you in person, saving on excessive delivery charges and the inconsistency in delivery times that comes with it. When you hire from us for your Quorn event you can have the peace of mind that we’ll deliver on the dot, no excuses, it would be hard to make them with how small the village is! But that’s just a little of what we’re about, there is much more information on our website to help you on your way to a stellar event. Browsing through menu and hire pages, you’ll find all the information you could want about the hog roast plans available to you. Please have a look around and call us if you see something you like.